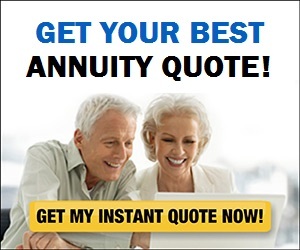 I don’t usually look to surveys for insights into how to better plan for retirement. Too often such surveys merely regurgitate what we’ve heard before (There’s a looming retirement crisis!) or focus on quirky factoids and trivialities that seem designed to make attention-grabbing headlines (People fear outliving their savings more than death!). But a recent Wells Fargo survey actually homed in on a crucial issue when it asked this simple question: Which is more important in preparing for a successful retirement: saving or investing? People’s choices were revealing. Less than half of those polled—44% to be exact—said that the amount you save during your working years was a bigger factor in retirement success than how you invest. But 43% said that how you allocate and invest your money was more important, while 12% said that saving and investing were equally important (1% didn’t know or refused to answer). In short, more than half of those surveyed didn’t believe that saving is the most crucial aspect of a retirement plan. Which is a shame, since diligent saving is the single most important thing you can do to increase your odds of having a secure and enjoyable retirement. That’s not to say that investing doesn’t play a significant role in the eventual size of your nest egg and in determining how long it will last in retirement. It does. And you certainly don’t want to squander your savings by investing carelessly or ineffectually. A recent blog post by Vanguard senior investment analyst Donald Bennyhoff —Investor Success: Measured In Dollars, Not (Per)cents—neatly illustrates the interplay between saving and investing in determining retirement success. Bennyhoff compares how large a nest egg one might end up with over a 30-year period with three different portfolios (conservative, 20% stocks/80% bonds); moderate, 50% stocks/50% bonds; and aggressive, 80% stocks/20% bonds) and two different savings rates (4% and 6% of income). How Much Do I Really Need To Save For A Secure Retirement? Not surprisingly, the more aggressively you invest at any given savings rate, the higher the return you would expect to earn and the bigger the nest egg you would expect to accumulate. It’s also possible that you might end up with a larger nest egg while saving a lower percentage of income, if you earn a higher rate of return. But “might” is the operative word here. No mix of stocks and bonds provides you with a guaranteed return or guaranteed amount of wealth in the future. Rather, there are a range of outcomes that you can expect, both in returns and the ultimate size of your nest egg. And the higher the return you shoot for, the more aggressive your portfolio must be (i.e., the more stocks it must have) and the more volatile it will be. More volatility increases the range of possible outcomes both good and bad, which means that counting on higher investment returns to build your nest egg has a substantial element of chance to it. So while you could end up with a larger nest egg by stinting on saving but shooting for higher returns than by investing less aggressively and saving more, you could also end up with a smaller one if the increased volatility that comes with a more aggressive investing strategy works against you and returns come in lower than expected. Just to be clear. The point of the example above isn’t that you should conservatively. Rather, the lesson is that whatever mix of stocks and bonds you decide is right for you—which you can gauge by completing this risk tolerance-asset allocation questionnaire—you’ll increase your chances of attaining a secure retirement if you boost your savings rate. Or you could look at the relationship between saving and investing another way: The more you save, the less investing risk you must take to accumulate the retirement wealth you need. Some may argue that this distinction between saving and investing doesn’t really matter much in the grand scheme of things. After all, you do have to do both to have a successful retirement. But I contend that failing to appreciate the paramount importance of saving can seriously hobble one’s retirement planning. In my experience, far too many people (including many of my colleagues in the financial press) approach retirement planning as an investing exercise. They spend inordinate amounts of time trying to identify stocks or funds that might beat the market or attempting to figure out whether it’s a good time or a bad time to be in the market. (I find all those “risk on/risk off” stories and discussions particularly useless and irritating.) At best this sort of slavish obsession with the investing side of retirement planning diverts people’s attention from what truly matters in building a nest egg and making it last, and at worse leads them to make poor investing decisions by trying to do too much. In fact, you’re better off creating a low-cost portfolio that jibes with your risk tolerance and that has a reasonable shot at generating the returns you’ll need to achieve a secure retirement, and then letting investing take a back seat to more important issues such like whether you’re saving enough, looking for ways you might be be able to sock away more and whether you’re getting the full benefit of tax-advantaged accounts.